Felicity has an imagination that continues to fascinate me. Per her request, we have begun working through the book I used to teach Cecilia how to read. She is doing better at it than I thought she would. She struggles much less than Cecilia did to hear the letter sounds come together into a word. At the end of the last few lessons we've done, there is a sentence for her to read and a picture. Then there are questions for me to ask her about the picture. Her answers to the questions surprised me but I could not tell her she was wrong. They were just her way of viewing the picture. For example. The sentence was "The rat is sad." 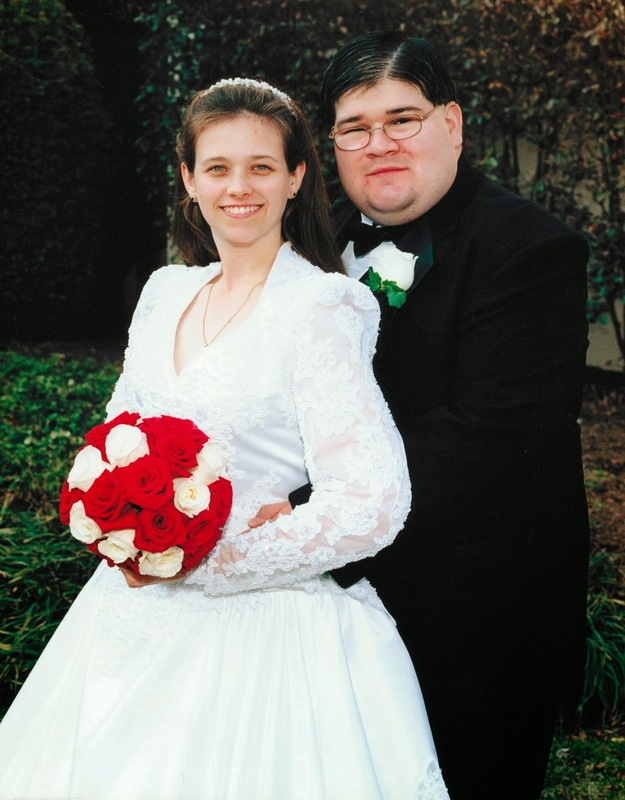 Here was the picture. 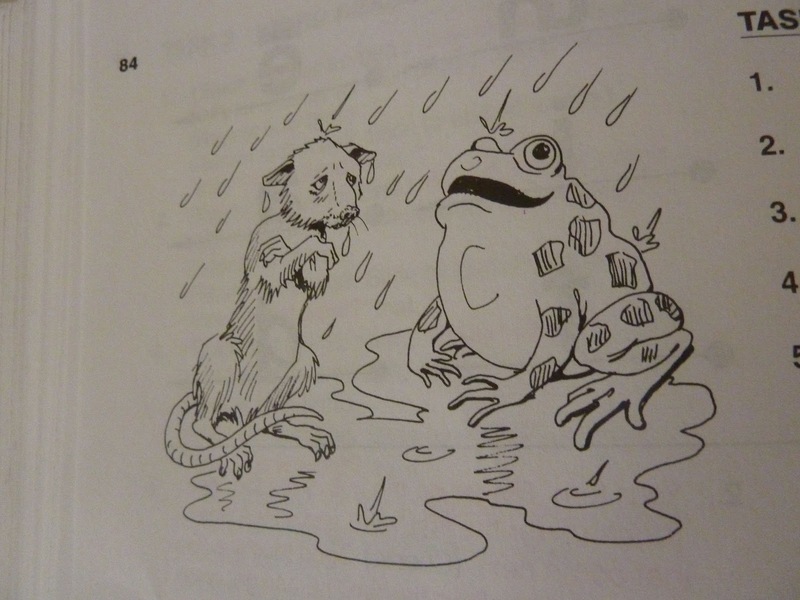 Now, it is fairly obvious that the rat is cold and wet and the book presumes that this is the reason he is sad and the reason the child will come to. Not Felicity. When I asked why she thought the rat was sad, her answer? Because the frog is laughing at him. Now, it is true, the sentence makes no explanation for the frog even being in the picture other than to contrast the frog's like for the rain to the rat's clear unhappiness at being wet and, presumably cold due to the position of his arms. But I found it particularly interesting that Felicity jumped completely past the obvious cold and wet rat as being cold or wet were either not reasons to be sad or not as big of a reason to be sad as the possibility that the smiling frog is actually laughing at the cold, wet rat. Felicity is the most introverted of all my girls. She always has been. And while she has gotten better about being friendly, she will still hide when people she doesn't know well try to speak to her. So, it actually makes some sense why she would find the potential laughter of the frog much more saddening than any chill or rain. In the next lesson, the sentence was, "Sam is mad at me." This one was trickier for her. When I asked about the picture, I just got an, "I don't know." So I had to draw her out asking about each figure. 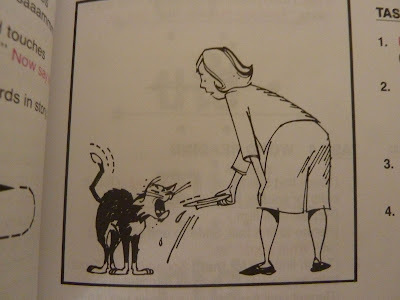 The book assumes that it is a reasonable to infer that the cat is Sam and Sam is mad because the girl is taking away the plate, probably containing milk. Felicity's answer completely ignored the plate. And possibly the sentence too. She said the cat was sneezing. 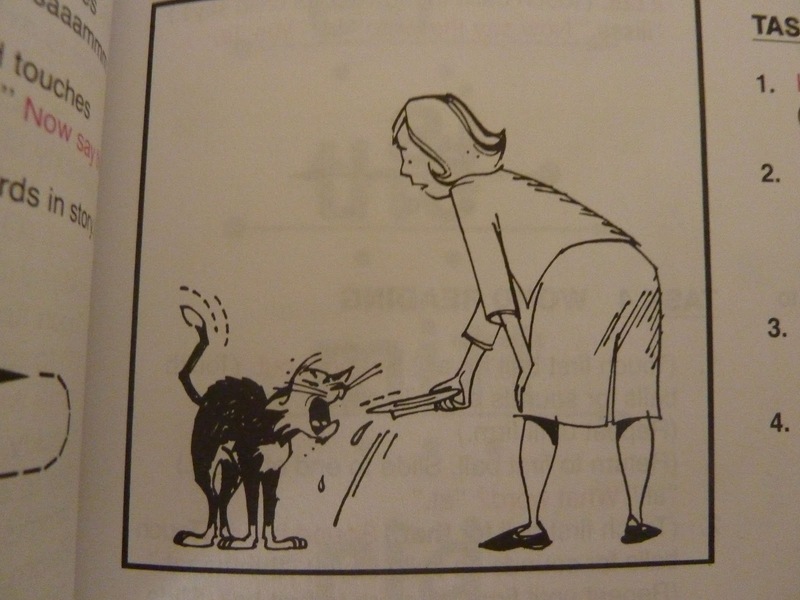 When I reminded her of the sentence she just read (this is to build reading comprehension, after all), she said the cat, Sam, was mad because he sneezed. That I certainly couldn't argue with. The sentence never says why Sam is mad. Maybe the plate and the girl have nothing to do with it and are completely arbitrary. I find her imagination so wonderful and fascinating. She continues to be my child that plays best on her own and will, very clearly, get involved in some private play project for which she has a specific goal in mind that simply cannot accommodate interruption or another person.